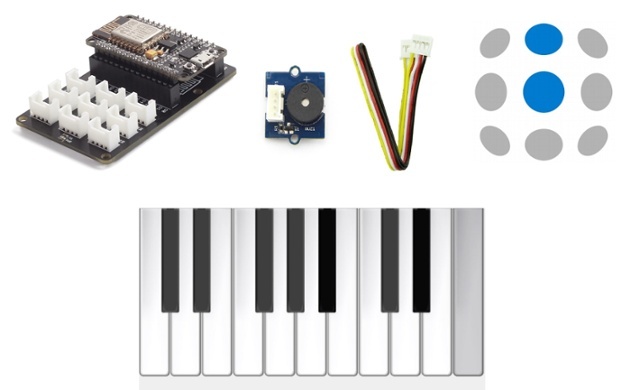 If you could make your very own digital, Internet-connected piano, what would you play? In this post we will teach you how to make program a buzzer using a NodeMCU and Ubidots. This may sound hard at the beginning but with Ubidots, it's pretty simple. We will use a NodeMcu connected to the Ubidots and establish some tones to a few buzzers hooked up to Ubidots. Now let's make some music! 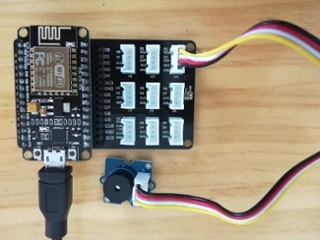 In this post you will learn how to use the NodeMcu with a buzzer and Ubidots. The NodeMcu is an IoT device with GPIO, PWM, IIC, 1-Wire and ADC all in one board, and connects via Wi-Fi. It is easy to learn and prototype with and with the Arduino IDE, programming is a sinch. 2. Next, go to the Arduino IDE, click on Files -> Preferences and search "http://arduino.esp8266.com/stable/package_esp8266com_index.json" into the Additional Board Manager URLs field. You can add multiple URLs, separating them with commas if needed. 3. Then open "Boards Manager" from Tools -> Board menu and install "esp8266" platform. 3a. Don’t forget to select your NodeMCU 1.0 board from Tools > Board menu after installation. Add a new Data Source called "piano". 2. Add a new Variable for each musical note. Start with a variable called "do", and then "re", "mi", "fa", "so", "la", "ti". 3. Verify that the label of the Data Source and the Variables are the same as the name. This allows the communication between Ubidots and the NodeMcu. Once everything is connected correctly, we will go to the IDE and paste the following code. And that's it! It's time to play the piano.